Finding the perfect driving school is important regardless of whether you’re a teen getting ready to learn to drive for the first time or an adult who has never driven before but would like to begin. If you don’t enroll in a school that offers a training program that will work for you, how will you ever learn anything? The right school will teach you about driving and the rules of the road in a way that you find enjoyable and easy to understand. Here are some questions you should ask while researching driving schools. 1. Is the School Approved by Your State? If you’re taking driver’s education to get your license or permit, you will most likely need to go with a state-approved school. Many schools are state approved, and this information shouldn’t be hard to find. Just look on the school’s website, or call the school and ask a representative. 2. Does the School Offer a Multifaceted Approach to Training? The best schools offer both behind-the-wheel training and in-classroom education. Of course, whether or not you will require both of these things depends on your individual needs and reasons for taking the course in the first place. 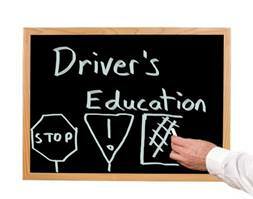 However, most first-time drivers will benefit from different types of training, and since most states require behind-the-wheel practice to get a driver’s license, it’s best to get some of it out of the way during your training program. 3. Does the School Offer Online Training? Some schools allow you to complete the in-classroom part of the education process online. This works well for those who are very busy and need to work on their education on their own time. Most schools offer this option, but you should be sure to look into it before proceeding. 4. Is the School Affordable? Driver’s education is a worthwhile investment, but you can’t invest money that you don’t have. When searching for schools, don’t simply go for the first option you see. Take some time to shop around and compare prices. They aren’t all the same, and every school has a slightly different training program to offer you. The last thing you want is for you or your parents to be stressed for money while you’re busy taking on the challenge of completing driver’s education. It could distract you from the crucial learning process. 5. Have you Checked out Reviews for Your Chosen School? Before you make a final decision regarding your school, be sure to read some online reviews. There might not be any available depending on the popularity of the school and the area you live, but if there are, don’t hesitate to look them over. Try to keep in mind that even great schools might have one or two bad reviews. Sometimes people just don’t click, and there could be any number of reasons that a person felt unsatisfied with the experience. However, if you see more than a few reviews where a person is complaining that the school didn’t do a good job, be cautious. This is a huge investment in your future, and you want to make sure you end up feeling positive about your choice.